These are great! What a lovely parliament you have created! Oh thanks! They’re very nice. My daughter’s already coloring them! Thanks! We love birds…especially owls <3. 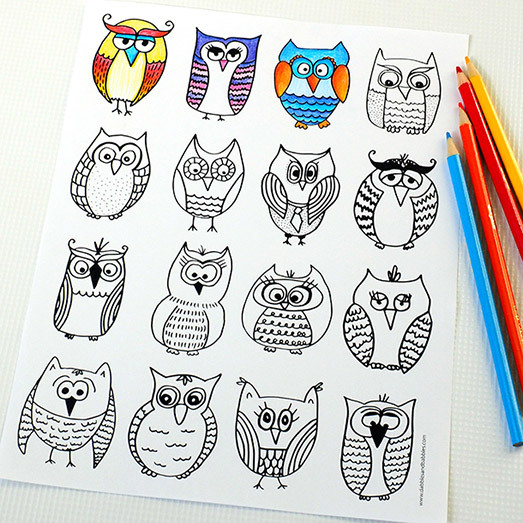 My boys will love to color them! Thanks for sharing. My oldest and hubs are going to love this thank you! I ADORE your style; the many small images on the page lends itself for attention to detail and longer ‘sit’ time. Thank you! Love your creations! They will be very useful for my preeschool lessons , thank you very much for sharing! Great drawings Jamey! I’m excited to start coloring them.